In recognition of her dedication, passion and hard work our instructor Alice received this years Coach of the year award by the Kiwanis Club of Warner Center. We couldn’t be more proud of you Alice, you are doing an amazing job! Our students did amazing this year again at the KECSA, horseshow organized by the KIWANIS in LA! We took Boomer and for the first time Tenney, the horses were amazing! Thanks to all the volunteers for your help and congratulations to our 6 students who competed and won first and second places !!! 6 riders and our 2 mini-donkeys are going to represent the club to raise awareness, please come support us !! Our Open house was successful! So many new people and friends came in to discover our club, our horses and our students ! Even the Mayor of Newport Beach came and gave us a proclamation recognizing our work and benefit to the community! So grateful and honored! Our students did amazing this year again at the KECSA, horseshow organized by the KIWANIS in LA! Two more friends at the stables! This year we went again to the Kiwanis competition in LA. 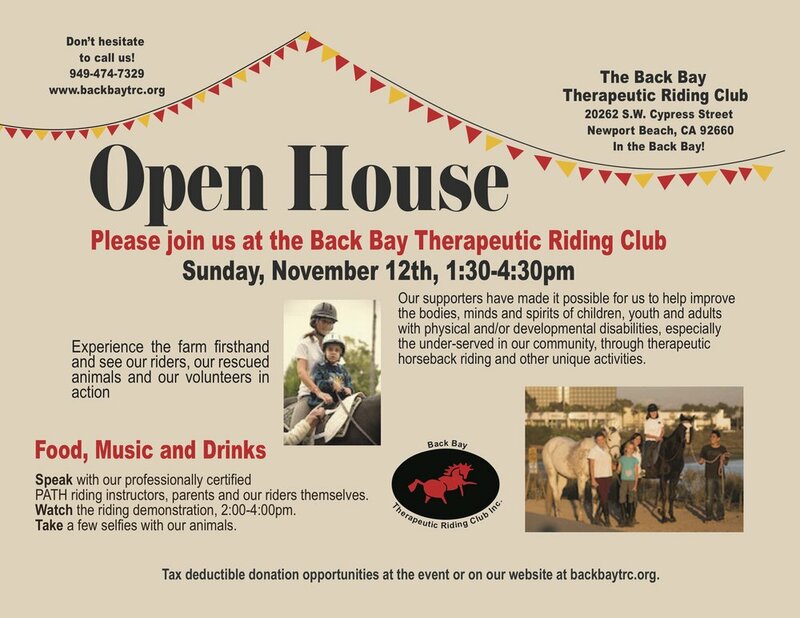 back bay therapeutic riding club, inc.